The perfect acrylic set contains a selection of colors for interiors of cars, vans and trucks in brown, yellow or with grey upholstery. The ideal combination of colors to bring realistic effects of lights and shadows in civilian vehicles interiors. Use them individually or in combination for a variety of effects and transitions. 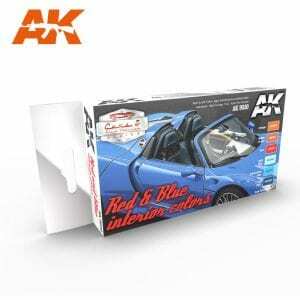 This acrylic set contains a selection of colors for interiors of cars, vans and trucks in blue colors o or with red upholstery. 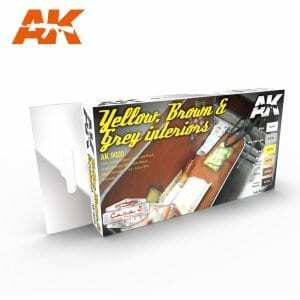 The ideal combination of colors to bring realis- tic effects of lights and shadows in civilian vehicles interiors. Use them individually or in combination for a variety of effects nand transitions.